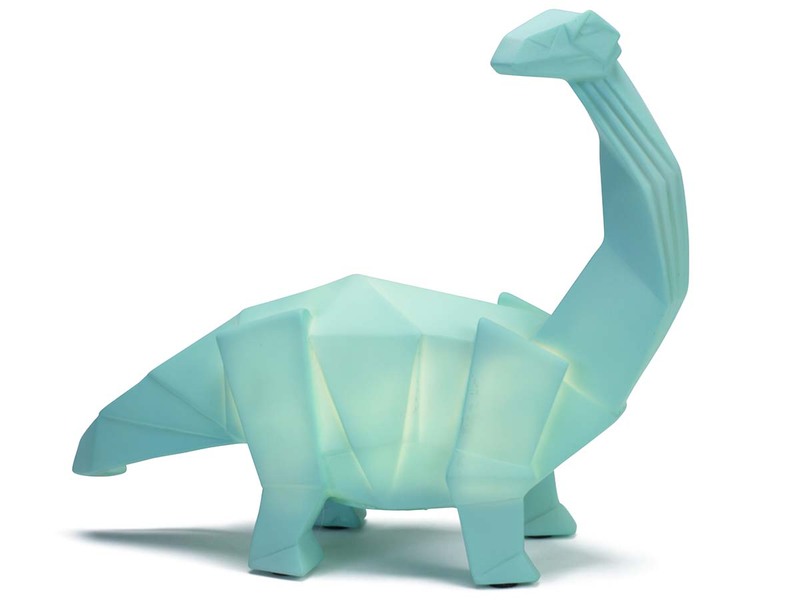 They may have gone extinct ages ago, but dinosaurs are still very cool. 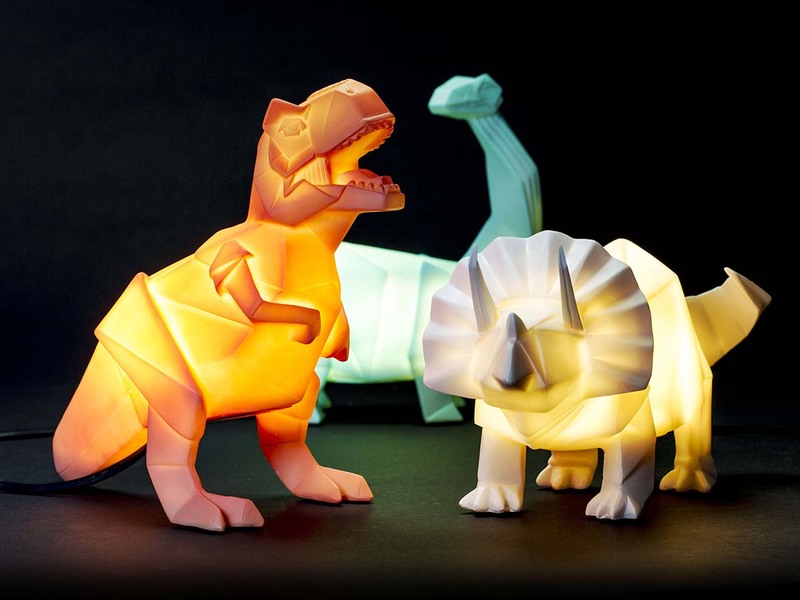 And since they can already be found next to the nightlight in many a child's bedroom, we thought it would be nice to bring the two together. 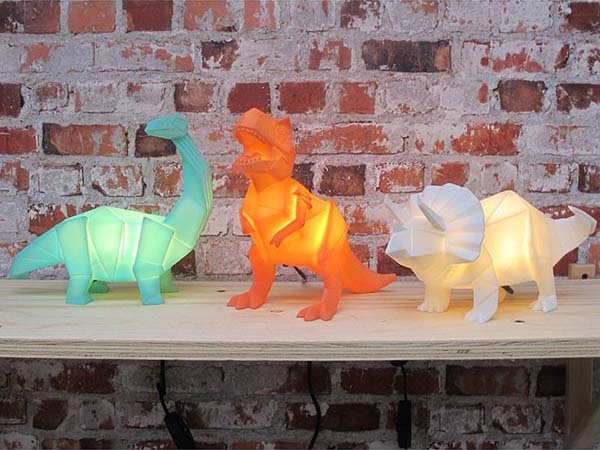 The Dino Lamp comes in three different version: the Tyrannosaurus Rex (orange), the Triceratops (white) and the Diplodocus (blue). And since we still don't know what they really looked like - no, not even Spielberg knows for sure - they just might have been coloured this way! Just plug in the light using the black cable (not to be confused with the beast's tail). 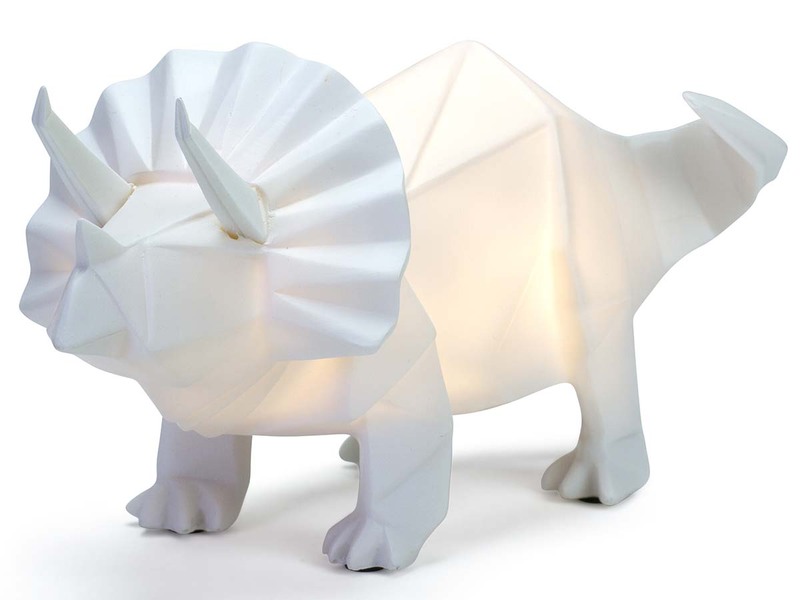 The integrated LED light is extremely durable, so a Dino Lamp is fun while also thinking about the environment. 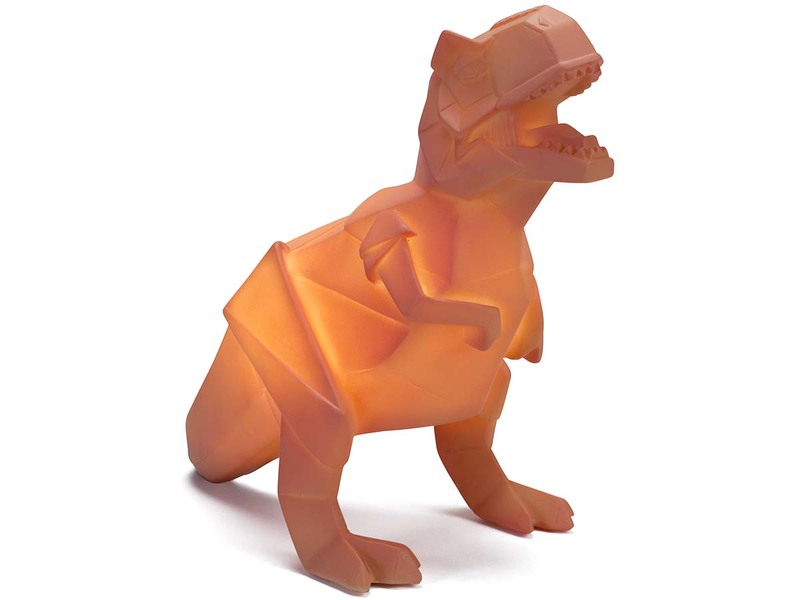 A perfect gift for both little kids and dino lovers!